Hemorrhoids, constipation, diabetes and female disorders. Take the Tokushima Bus at the route bus terminal in JR Tokushima Sta. Change to town bus (approx. 1 hr 30 mins). 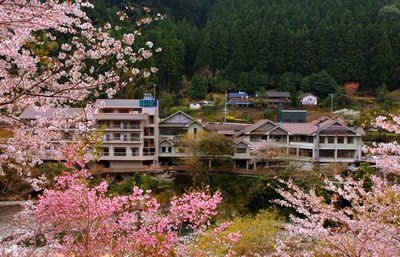 Get off at the bus stop "Tsukigatani Onsen-guchi" then it is a short walk.